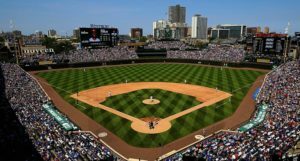 The Cubs won again yesterday – they call that two in a row. They win one today and that’s called a winning streak. It has happened before. 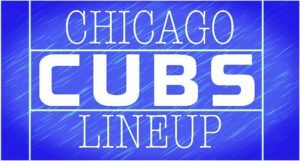 Here’s the Cubs lineup for the second game of the series. It’s becoming increasingly clear that, all things equal, Daniel Descalso is Joe Maddon’s preferred leadoff man and second baseman against right-handed pitchers. 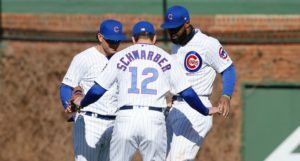 That’s become easier to accommodate, because Albert Almora Jr.’s struggles and Jason Heyward’s early-season success has opened up center field for Heyward and right field for Zobrist, like we see today. 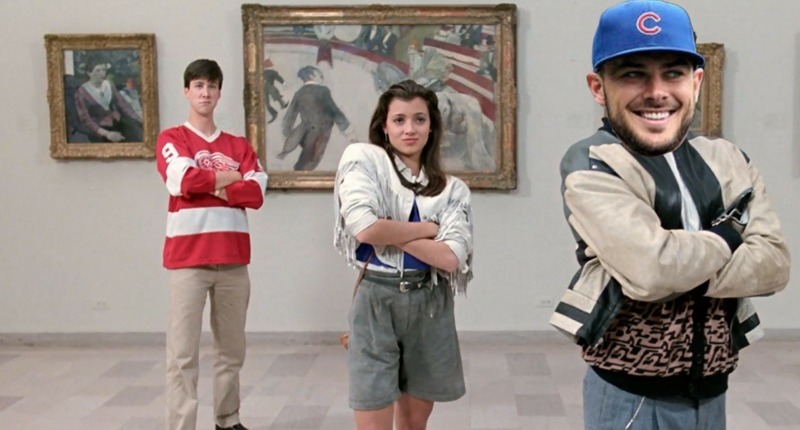 The only unexpected difference in today’s lineup, then, is the absence of Kris Bryant. Although Bryant has a hit in all but three games and has reached base in all but two games this season, he’s pretty clearly struggling at the plate. While his walk rate and strikeout rate are both fine (not where they usually are, but fine), his ground ball rate is way up there (51.4%) and he’s making only league average-ish hard contact. Fortunately, he hasn’t been making a ton of weak contact either, but he’s clearly just not himself. He’s in a state of limbo and mediocrity, and I think he’ll pull himself out of it soon. There’s no one hitter on this team – when healthy – that I trust more than Bryant (Anthony Rizzo is close). 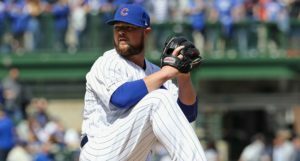 In any case, David Bote is grabbing the start at third today. And, as usual, we’ll have your full Pre-Gamin’ post closer to game time (1:20 CT). And I’ll be in the bleachers for today’s game! See ya there.